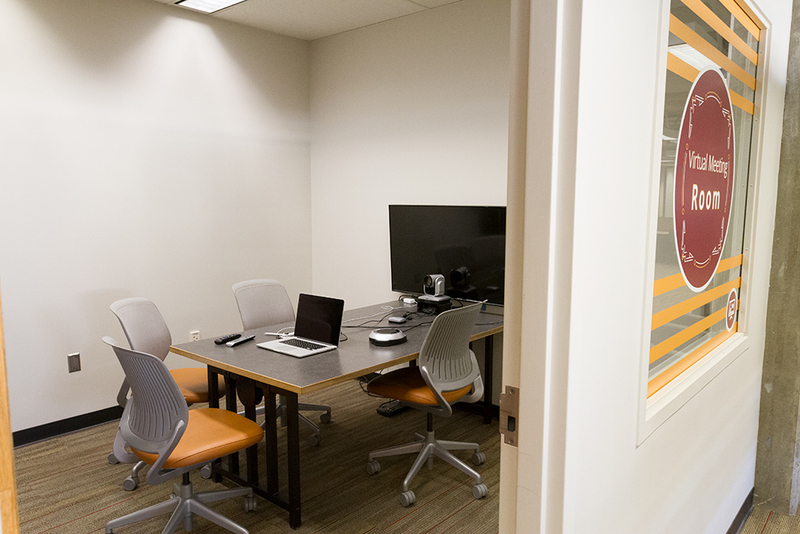 The Virtual Meeting Room (111F) is a space (for up to 4 people) for conducting audio/video meetings. The Virtual Meeting Room is equipped with a large screen TV, an adjustable HD video camera, and a high-quality speaker/microphone. Users may check out a laptop for running video-conferencing software (valid PolyCard ID required), or they may bring their own laptop. The system is compatible with most video conferencing software. The Virtual Meeting Room is compatible with Zoom, Cal Poly’s new video and web conferencing software. Learn more about the Zoom Conferencing tool. Yes! Friday! It's 3:18pm right now.